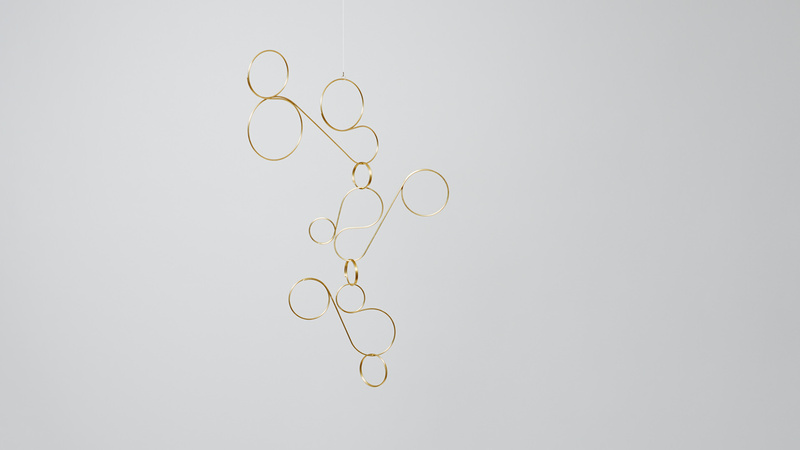 This is a mobile which looks like an accessory with a series of circular shapes drawn by fine, single lines. The collection of traversable curved lines reminds us of physical processes which gradually change over time like a cloud in the windless sky or the plant growing day by day. Floating this mobile in the space just like wearing an accessory, one can add a fresh nuance to the ordinary room. Director, TAIJI FUJIMORI ATELIER (founded in 1999) / He specializes in furniture design and is engaged in product/interior design projects and collaborative works with various architects. In recent years, he broadens the scope of his activity into various design fields regardless of scale by deepening his conception of furniture making. He aims to design a new way of “presence” beyond which the shape of an object can display.